Happy New Year, everyone! I've had a really great reading year. 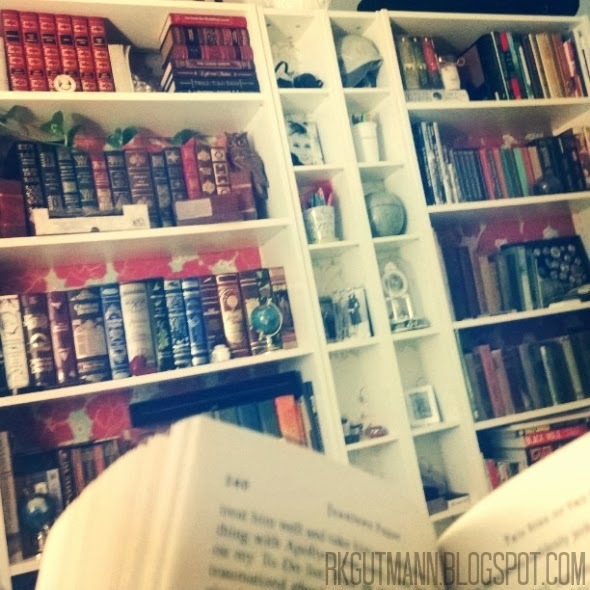 I read 57 books in 2013, totaling 17,021 pages. That's quite an accomplishment if I do say so myself. 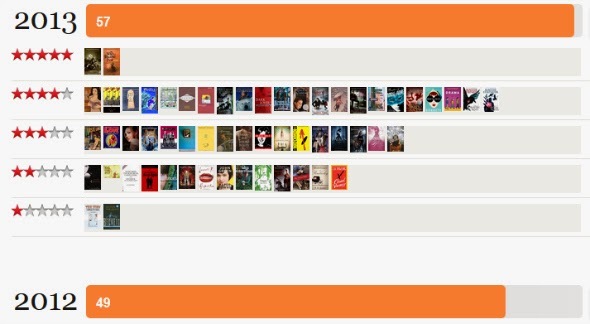 Also, it's a bump up from the 49 books I read in 2012. GoodReads was paramount in my tracking my yearly progress. They even have a nifty little diagram to display your star ratings. Only two books won the coveted 5 star rating this year: Elizabeth George Speare's The Witch of Blackbird Pond and Jeaniene Frost's One Foot in the Grave. Alternatively, two books won the dreaded 1 star rating: Samuel Beckett's Waiting for Godot and some random graphic novel not even worth mentioning again here. Obviously, I'm pretty pleased with myself. I'm aiming to read 50 books in 2014 (it's going to be a busy year for me for a ton of other reasons. Stay tuned.). Now tell me, how was your reading year?